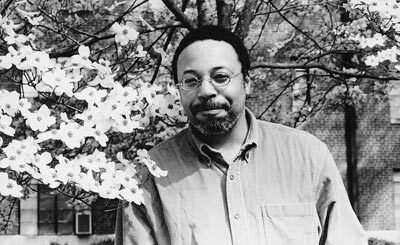 Award-winning poet and author George Elliott Clarke will read from George & Rue on Thursday, Nov. 5 at 7 p.m. in the Ganong Hall Lecture Theatre. George Elliott Clarke is Toronto’s Poet Laureate, and the University of Toronto’s E.J. Pratt Professor, teaching Canadian and African diasporic literature. A prolific writer, he has received many honours, including the Governor-General’s Award for Poetry, the National Magazine Gold Medal for Poetry, the Dartmouth Book Award for Fiction, the Eric Hoffer Book Award for Poetry, the Dr. Martin Luther King Jr. Achievement Award, the Pierre Elliott Trudeau Fellowship Prize, and eight honorary doctorates. In 2008, he was made an Officer of the Order of Canada. The reading is hosted by the Lorenzo Reading Series and supported by the Canada Council for the Arts. Admission is free and all are welcome to attend. For more information contact Alison Hughes at (506) 654-3753 or email aehughes@unb.ca.